This is a question I am asked every week. I generally provide an answer that covers a wide price range and then attempt to explain why my answer is intentionally broad. 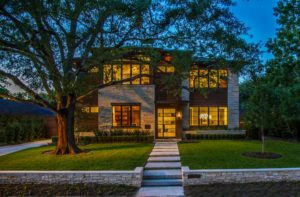 To alleviate the frustration a prospective client may encounter in trying to determine their costs, I thought it would be helpful to explain in more detail the major factors that contribute to the cost of building a custom home. The two factors that most influence the cost of a project are size and style. Keep in mind, that when a builder gets a question regarding cost over the phone, that they have not seen any blueprints nor do they have an understanding about the types of finishes that will go into the home. Specialty Items—plaster, wallpaper, soundproofing of walls/floors, in-floor heating systems, elevators, wine rooms, etc. To start, I recommend that the homeowner have a budget in mind. Working with a reputable architect who is familiar with the neighborhood is also important. Additionally, many architects encourage your builder be involved in the design process. This way, the design is a collaborative effort between owner, architect, and builder. A builder who is involved in the design process can prevent you from designing elements into the home that will exceed your budget. I also recommend a homeowner be armed with pictures prior to your initial design meeting with an architect. 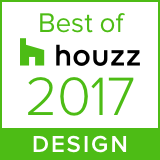 Websites such as Houzz and Pinterest are particularly helpful in communicating your design aesthetic. With any project, budget is typically a major consideration. Not many people are able to afford the most expensive finish in every category. Your builder will work with you to determine your priorities for you home relative to the cost. A knowledgable builder will have ideas and suggestions to help you achieve the look and feel you are going for, even when compromises must be made. Our experience in working with a vast number of different products and suppliers puts us in a unique position to offer ideas our clients might not have considered—after all, this is a joint effort and we want you be thrilled with the results. While a tract home builder can immediately rattle off the cost of their cookie-cutter, standard and narrow options, that is simply not possible for a custom builder. I hope that this article is a helpful overview of the process a builder and homeowner go through together to determine cost. I look forward to speaking with you about your visions for your custom home.